IFS is a family run business which prides itself on two key traits honesty and reliability. These combined with craftsmanship and the knowledge of our industry, has developed the business into one of the leading fire alarm companies in Ireland. We currently carry out work throughout the 32 counties of Ireland, and are regularly contracted to carry out works for both Northern and English companies alike. 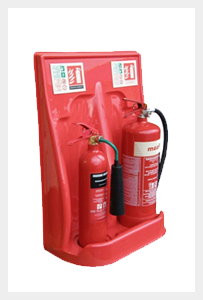 Independent Fire Services offers the full package when it comes to life safety systems, fire protection products and fire safety training to both contractors and end users. From the initial survey, to design and quote, installation, commissioning and certification to final handover and documentation, IFS is a “one stop shop”. Please visit our Services or view our Products for more info. Independent Fire Services is a company that is committed to delivering cost effective solutions. We ensure that our client’s life-safety-systems are fully functional and meet the required safety standards of the day. In doing so, our aim is to keep our clients and their property safe in the knowledge that whatever system Independent Fire Services is supplying, installing, or servicing, it is going to operate when required. Why choose Independent Fire Services? Our staff are fully qualified and carry out regular training courses in both products and industry approved services. When you employ the services of IFS you are employing a professional team of workers with a vast experience. At Independent Fire Services, we are committed to providing goods and services that are guaranteed quality. We are committed to delivering high performance solutions to ensure that our clients are protected. If you would like to speak to us about any of our services, get in touch today!